Colleagues and I have been talking about it for years: Our state really needs a Spanish competition for students! Some states do a quiz bowl, some do a multi-day conference with a variety of categories, and some do a one-day foreign language festival. Here at AATSPSC, we are developing our own competition, set for Spring 2018! We are calling it Feria South Carolina Spanish Conference (affectionately known as Feria SCSC), and want to give you a sneak peek at what we have in the works. There are several reasons to hold a conference for students. One of the main purposes is to celebrate the accomplishments of our high school students, as well as celebrate our state’s native Spanish-speaking students and heritage learners. Also, we have seen other states have great success in promoting interest in Spanish by involving their students in competitions. It is a great form of advocacy for students to report back to their friends and family how much fun they had and how successful they felt. We want our students to go back to their communities with pride in their Spanish abilities! Finally, funds from the festival will go back into AATSPSC and eventually will fund scholarships for students once we have established the program. We are in the process of drafting official rules and guidelines. The plan is to separate students into four categories ranging from “Students who have only learned Spanish in a classroom” to “Students who were educated in a Spanish-speaking country.” In the spirit of fairness, we want to honor our students’ experiences and create a competition where everyone can shine. Our tentative plan for Spring 2018 is to hold a one-day competition with three events: Spelling Bee, Impromptu Speaking, and Timed Writing. All of these events can be practiced in advance as a part of daily classroom activities, or outside of class as part of team practice. In the future, our goal is to expand the competition to include more events and span several days. Another aspect of this competition is to involve our state’s college students to serve as volunteers and judges. Many universities have Spanish classes with a Service Learning component, and we are hoping that this competition offers an opportunity for colleges to also get involved. Also, if some of these college students are future language educators, we want to welcome them to AATSPSC before they graduate! As we continue to map our state’s own Spanish competition, we look to you, our colleagues and friends, for feedback! 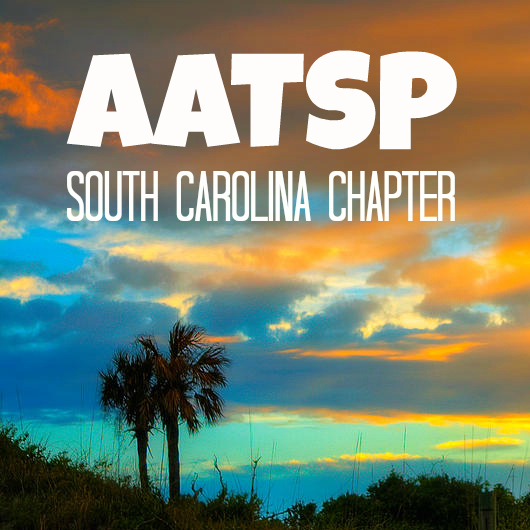 We will have the opportunity to meet and discuss AATSPSC’s programs at the upcoming SCFLTA 2017 Conference in February. Are you interested in volunteering? Do you teach college and want to involve your service learning students? Are you thinking that you definitely want your high school kids to participate? Let us know! If you aren’t planning to attend SCFLTA, we would still love your feedback! Please email us at AATSPSC@gmail.com. To everyone going to SCFLTA, we will see you soon! The start of a new school year is the ultimate reboot—new students, freshly waxed classrooms, revised instructional units, and a renewed sense of purpose. And, of course, there are also new state, district, or school-level initiatives with their accompanying professional development. While some of these are useful, many have limited relevance for world language teachers. We have all been in that “one-size-fits-all” workshop or training session that does not meet our needs or capture our interest. When it happens, it feels like mind-numbing drudgery that is simply to be endured. Reflect on your personal strengths and opportunities for growth. Seek out new collaborators for your Personal Learning Network (PLN). Carve out time for professional reading. Share what’s happening in your classroom. This goal surfaced for me rather unexpectedly, while I was attending a conference this summer. I was talking with a couple of administrators from a career/technical high school about ways to keep learning relevant and authentic for students in our respective areas. One of them asked me, “How do you share what your students are learning and doing with administrators?” After thinking for a moment, I realized that I don’t share much about our curriculum and instruction because I assume that everybody is already busy handling their own slice of the educational process. Many of us studied (or perhaps I should say “survived”) language using the audio-lingual method long, long ago in a classroom far, far away. How will someone in a different content area know that today’s language instruction is less about translating sentences and memorizing dialogues and more about managing authentic texts and tasks for real life situations? We must share our craft and our practices. We must consider how the “world-class knowledge and skills” referenced in the recently-launched Profile of the South Carolina Graduate (http://ed.sc.gov/newsroom/profile-of-the-south-carolina-graduate/ ) are utilized and synthesized by all content areas. In closing, I wish you many successes in the new school year and hope that you find ways to make your professional development manageable and rewarding. If you work at a school, how many times have you, or one of your colleagues, been asked to interpret for a non-English speaking family? Or, how many times have you seen a school kid or a kid’s family member interpreting for a teacher or other school staff? Perhaps you have seen it many times, or even you might have experienced it yourself. Probably, you (or someone else) were asked to “translate” in a specific situation when actually you should be asked to “interpret”. I am not referring to a non-English speaker that needs to find the bathroom or the library, or needs to find the children’s classroom. I am referring to parent-teacher conferences, a speech therapy meeting, general school meetings or talks, school announcements or changes; or even having to interpret school letters or notes to parents or family members. Well, let’s start from the beginning. In case you don’t know there is a difference between translating and interpreting. “The term translation is used in two different ways. First, it refers to the general process of converting a message from one language to another (Bathgate, 1985), and second, it refers to the written form of that process” (González, Vásquez and Mikkelson, 2012). The term interpreting or interpretation means to convert a spoken message from one language to another, so you are also translating when you interpret, but the way to deliver the translation is verbal. “Translators have time to reflect and craft their output, whereas interpreters must instantaneously arrive at a target language equivalent, while at the same time searching for further input” (González, Vásquez and Mikkelson, 2012). When you are asked to verbally translate a written document into another language is called sight translation, and it is considered to be an interpreting modality since you deliver the message verbally. Having clarified this, it is utterly unfair and unethical that a teacher, children, or a family member is asked to interpret in schools setting just for being declared as bilingual. Bilingual people are not interpreters nor translators. Let me give you several reasons why I believe this in unfair and unethical: these bilingual people are doing someone else’s job, they are not being remunerated for their effort (and believe me, it is an enormous brain effort), they are placed in a stressful and uncomfortable situation and, most importantly, they are not qualified to do this job. More professionally, this is called a natural or ad hoc interpreter, an untrained person pulled away from other duties to interpret. Since these individuals are not trained or certified interpreters and lack professional experience, they originate consequences: a deterioration of the language and underestimation of the interpreting profession. Also, their mental health might be seriously affected due to the pressure they have to face and, unconsciously, they are condemning the art of interpreting as mere “it’s just a talk”. They do not need and should not cope with such an arduous task. For a bilingual person, doing the job of a professional interpreter can truly become a hideous duty. Interpreting not only requires being proficiency in two or more languages, it also involves a domain of specific terminology depending on the setting and the use of linguistic and paralinguistic elements. Interpreters need to possess quick reflexes and mental agility, stamina, memory and retention, good cultural awareness, analytical skills, and professionalism among other skills. These abilities take years to develop and master. Conversely, the fact of not understanding a language is a disability; it is the incapacity of communicating and being understood, it is the condition of being disabled. We can compare it with a deaf or hard of hearing individual, to which the administration provides qualified interpreters in schools or other setting to meet their needs by law. Why can’t we see the same scenario for a non-English speaker in a school setting? Because “it’s just a kid” or “it’s just a family”? Or because it happens at a school, not at a hospital or court. It is not my intention to start an immigration discussion, but if those children go to school here, they and their families deserve the same treatment and rights as those with any other type of disability. I believe it is time to show some respect for these citizens and for the interpreting profession. Maybe it is time to say “no”. Say “no” when you (or someone else) is asked to interpret for a family member or a teacher, and say that you are not a certified interpreter and some skilled professional should do it instead. These type of situations should be reported to the state department of education, and the state board of education should provide one or more skilled interpreters to schools, especially to those schools with higher numbers of non-English speakers’ enrollments. Here, however, is where the real problem arises. South Carolina’s demography and population are changing, and there is a huge demand of interpreters, but there are no institutions offering a respected and comprehensive training for educational interpreters to fill this gap in our society. There is quite a lot of existing training for court and medical interpreting but, unfortunately, not much has been done for educational settings. These other professionals could definitely do the job at schools; however, the ideal situation would be to have an interpreter trained specifically for educational settings. School settings would fall under the category of community interpreting. Since this is our reality, I am committed to provide a solution and transform this situation. I am in the process of obtaining my PhD on educational interpreting, and my dissertation is centered in the lack of educational interpreters and the growing demand in schools. That’s why I am thrilled to share that part of my dissertation involves developing a certification course to train bilinguals interested in the subject matter and in becoming skilled interpreters. I am putting all my effort and endeavors into finishing this process and, therefore, assist schools and LEP individuals in need of an educational interpreter. Hopefully one day the ad hoc interpreter will vanish in schools settings and will be part of the past. Hopefully one day qualified educational interpreters are as visible and recognized as medical or legal interpreters.